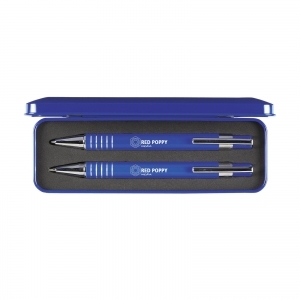 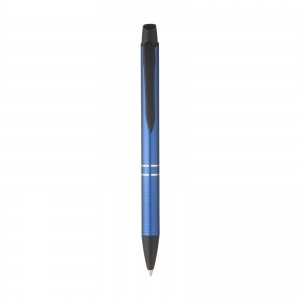 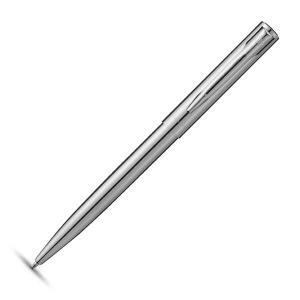 Chic metal writing set: blue ink pen with twist-action mechanism and rollerpen with fast drying blue ink. 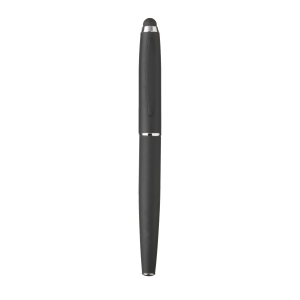 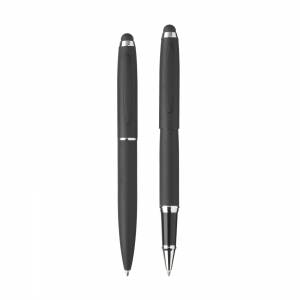 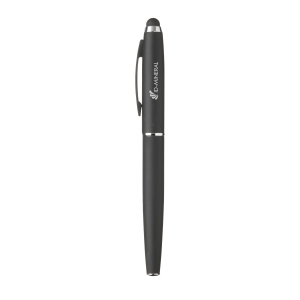 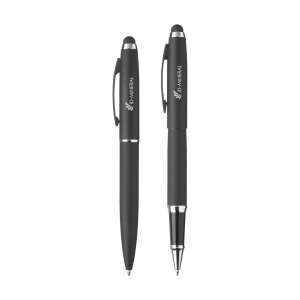 Both with stylish rubber feel finish, rubber top/pointer, clip and glossy accents. Give your gift more character with our stylish gift packaging. 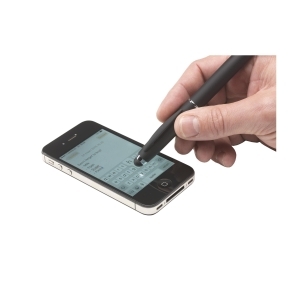 To order an unprinted GentleTouch writing set, please complete the details below.